An important aspect of the Fuel Reduction Program is providing information about the work of the program to the general public and local communities. The Community Engagement Officers and other staff of the Program are actively involved in delivering Program information through a number of activities, including community forums. These forums, which are held around the State, provide an opportunity for people to ask questions and also give feedback to the Program about fuel reduction burning. 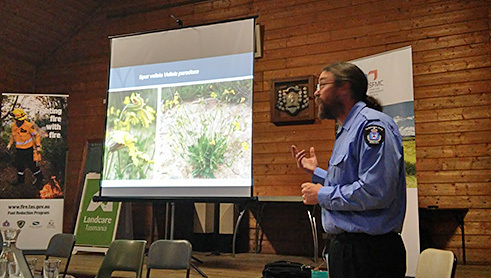 In 2016, Landcare Tasmania is continuing to host a series of community forums that focus on fuel reduction, with members of the State Fire Management Council and TFS Fuel Reduction Unit invited to present information on the Fuel Reduction Program around the State. 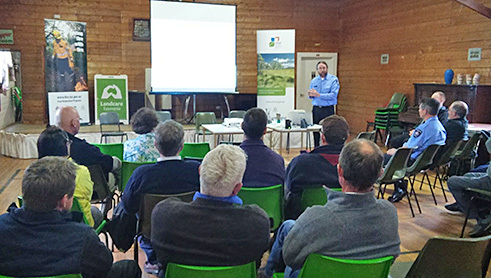 A forward program of Landcare-hosted forums in early 2016 is shown on this page. The Tasmanian Farmers and Graziers Associations will similarly be hosting a number of community forums on fuel reduction in farming areas around the State - the forward Program is being developed and will be posted on this web page when available. In addition, the Fuel Reduction Unit will be delivering specific information and consulting with communities in areas where fuel reduction burns are planned. This may take the form of public forums, drop-in sessions, information letters and notifications and material produced for delivery through the media. Where fuel reduction burns are being considered on areas of private land there will be extensive consultation with individual landowners, with burns only taking place under negotiated agreements. The following forums will be held across the state at the following locations in 2016.